Monkey grass (Liriope spicata) is a grass that is quite common in areas that are hilly or uneven because they fill in the area quite nicely. It comes in thick and is quite easy to grow. A lot of people are not sure about what to do about pruning monkey grass or cutting monkey grass. They ask themselves, “How low should I cut back my monkey grass,” or “may I mow it, or do I need to trim with clippers?” When you worry about how well you take care of your yard or land, you might be worried, but there is nothing to worry about. Monkey grass is a member of the lily family. What makes turfs from the lily family so desirable a landscape material is that they are quite versatile and can handle many different environmental conditions. Monkey grass can handle hot conditions better than a lot of shrubs and ground covers can. 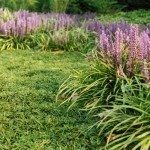 They are especially easy to grow and maintain on steep slopes where it is hard to maintain any sort of grass. If you are wondering when to cut back monkey grass or can you mow monkey grass, you are not alone. A lot of people don’t know what to do with it. Pruning monkey grass or trimming back monkey grass isn’t too complicated. It will start to grow by mid-spring. If you want to know when to cut back monkey grass, you can cut the plants back to 3 inches early spring. Pruning monkey grass helps take out the battered leaves and permits new leaves to come in and flourish. Cutting monkey grass with a lawnmower or trimmer is great for larger areas of the grass, but trimmers work just as well on pruning monkey grass where it is growing in a smaller area. After trimming back monkey grass, you can fertilize and feed the area. 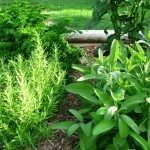 Be sure to include weed control as well. If you have just finished trimming back monkey grass, make sure to mulch the area with straw, bark or compost. This way it will be ready for a new season of growing. If you are wondering, “How low should I cut back my monkey grass,” you now know you can cut it as if you used a mower, or use a mower for cutting monkey grass so you can get it read for the growing season. This way it will be healthy and fill in nicely. Read more articles about Monkey Grass.